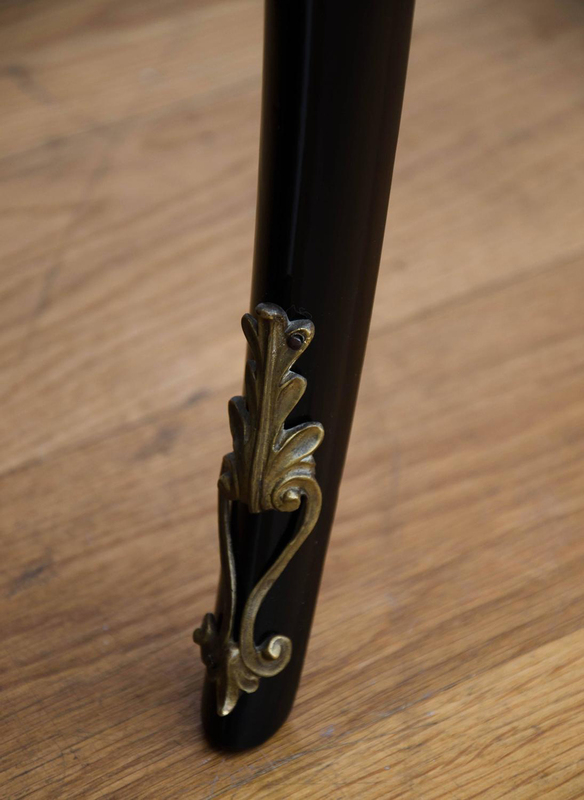 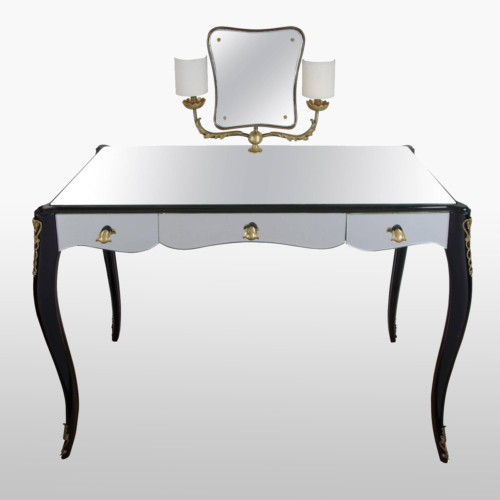 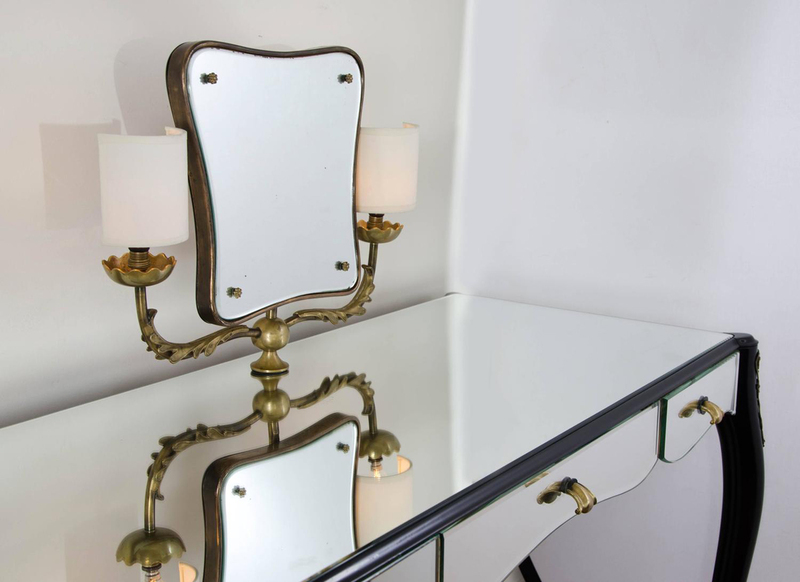 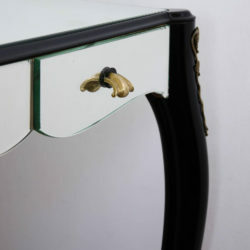 Italian mirrored dressing-table with intricate brass detailing on ebonised legs and feet. 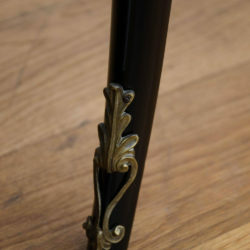 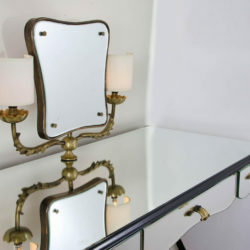 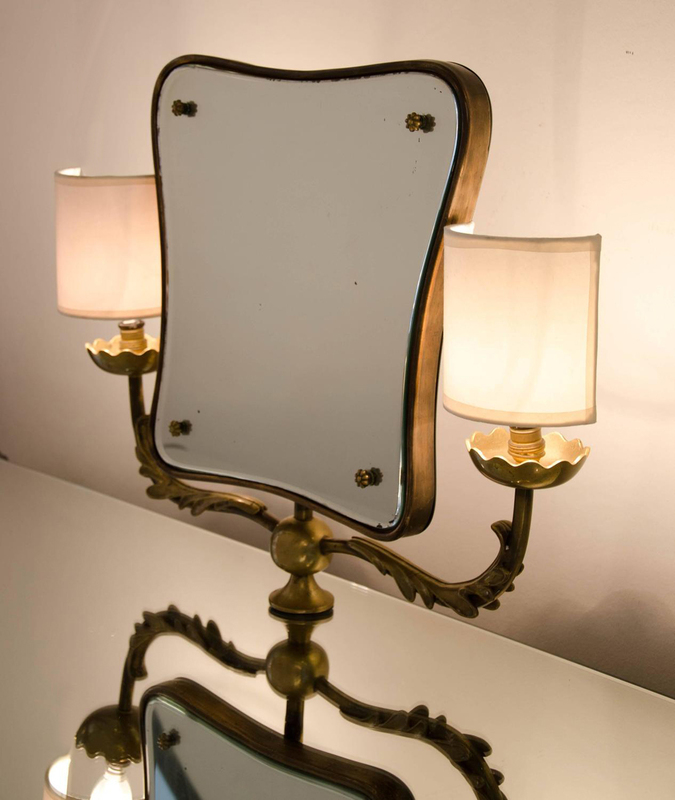 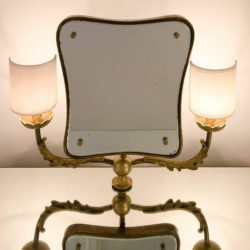 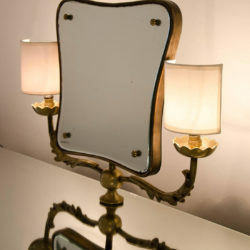 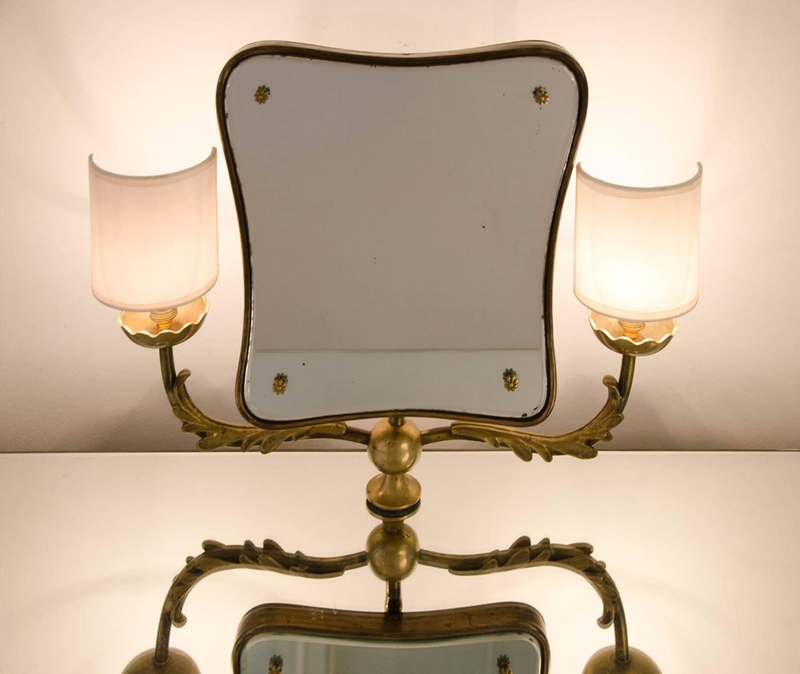 Curved tilting mirror with brass trim is supported by a decorative brass arm, which extends to support two side lights. 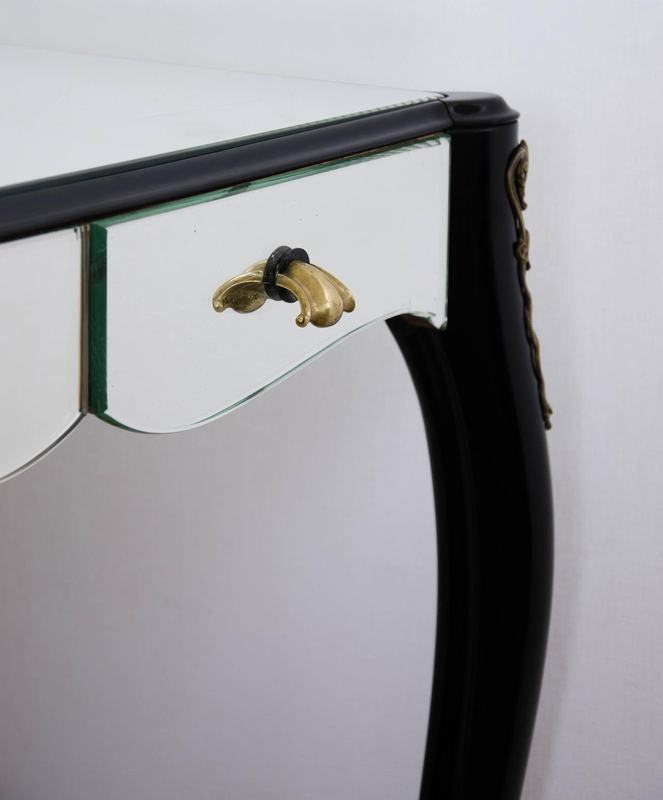 Three curved mirrored drawers have curved brass handles.